Mérida is located in the northwest part of the state of Yucatán, which occupies the northern portion of the Yucatán Peninsula. To the east is the state of Quintana Roo, to the west is the state of Campeche, to the north is the Gulf of Mexico, and far to the south is the state of Chiapas. The city is also located in the Chicxulub Crater. It has a very flat topography and is only 30 feet (9 m) above sea level. The land outside of Mérida is covered with smaller scrub trees and former henequen fields. Almost no surface water exists, but several cenotes (underground springs and rivers) are found across the state. Mérida has a centro histórico typical of colonial Spanish cities. The street grid is based on odd-numbered streets running east/west and even-numbered streets running north/south, with Calles 60 and 61 bounding the “Plaza Grande” in the heart of the city. The more affluent neighborhoods are located to the north and the most densely populated areas are to the south. The Centro Histórico area is becoming increasingly popular with American and other expats who are rescuing and restoring the classic colonial structures. There were three Spanish conquistadors named “Francisco de Montejo“: Francisco de Montejo “el Adelantado” (“The Lieutenant”, the eldest); Francisco de Montejo y León “el Mozo” (“The Boy”, his son); and Francisco de Montejo “el Sobrino” (“The Nephew”). Mérida was founded in 1542 by Montejo y León (“el Mozo”) and named after the town of Mérida in Extremadura, Spain. It was built on the site of the Maya city of T’hó (/d̥ʼχøʼ/), which was also called Ichkanzihóo or Ichcaanzihó (/isʃkan’siχœ/; “City of Five Hills”) in reference to its pyramids. T’ho had been a center of Mayan culture and activity for centuries: because of this, some historians[who?] consider Mérida the oldest continually-occupied city in the Americas. Carved Maya stones from ancient T’ho were widely used to build the Spanish colonial buildings that are plentiful in downtown Mérida, and are visible, for instance, in the walls of the main cathedral. Much of Mérida’s architecture from the colonial period through the 18th century and 19th century is still standing in the centro historico of the city. From colonial times through the mid-19th century, Mérida was a walled city intended to protect the Peninsular and Criollo residents from periodic revolts by the indigenous Maya. Several of the old Spanish city gates survive, but modern Mérida has expanded well beyond the old city walls. Late in the 19th century and the early 20th Century, the area surrounding Mérida prospered from the production of henequén. For a brief period, around the turn of the 20th century, Mérida was said to house more millionaires than any other city in the world. The result of this concentration of wealth can still be seen today. Many large and elaborate homes still line the main avenue called Paseo de Montejo, though few are occupied today by individual families. Many of these homes have been restored and now serve as office buildings for banks and insurance companies. Korean immigration to Mexico began in 1905 when more than a thousand people arrived in Yucatan from the city of Incheon. These first Korean migrants settled around Merida as workers in henequen plantations. The 70th Annual conference of the Gulf and Caribbean Fisheries Institute will be held in Merida, Mexico, from 6-10 November 2017 at The Hyatt Regency Merida Hotel. The meeting is being hosted by the CINVESTAV, Unidad Merida; Instituto Technologico de Merida y Universidad Autonoma de Yucatan. The conference will focus on applying fisheries and marine science to solve problems by bringing multiple users of ocean resources together to make informed and coordinated decisions for sustainable use of these resources. 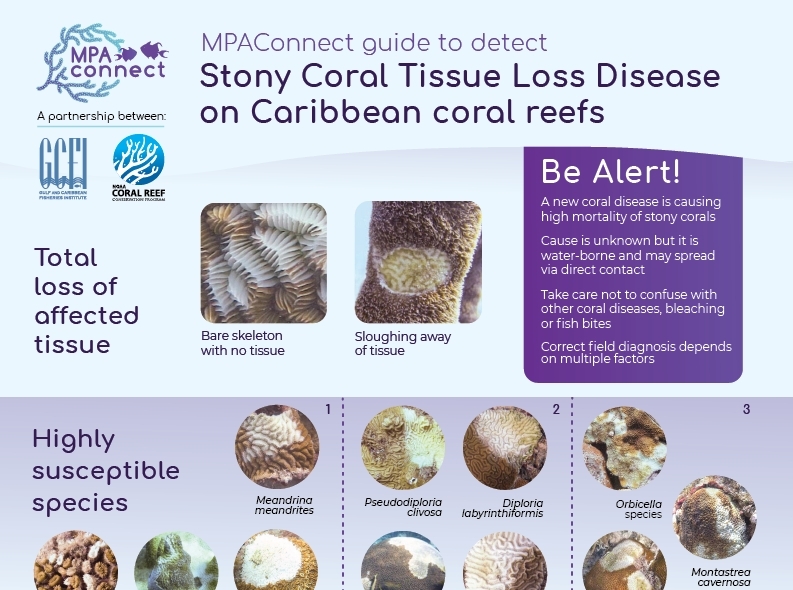 Addressing the issues of connectivity, fisheries management, conservation, and related issues at GCFI will aid in addressing critical marine resource issues within the Wider Caribbean Region. The theme of the Conference is “TOWARDS THE SUSTAINABILITY OF TROPICAL FISHERIES STRATEGIES, MODELS AND TOOLS”. The initiative is based on the interest of the membership of the GCFI to call attention to users on the importance of sustainable oceans through the implementation of sustainable fisheries and marine resource management. We recognize that new sustainability-oriented projects are needed in order to reset ecological balances, to change consumption and production patterns, to promote ecological efficiency, and to restore social equity conditions. The conference will emphasize the stakeholder processes to identify fisheries management strategies that put fisheries on the path to sustainability. In particular, we encourage presentations that guides the user in identifying the appropriate monitoring, assessment and management options for a specific fishery, given its socio-economic and governance context, goals and needs. GCFI is pleased to announce that the opening address will be presented by Dr. Brian Luckhurst. Dr. Luckhurst retired several years ago after 27 years as the Senior Fisheries Officer, Department of Environmental Protection, Bermuda Government. He has worked in the wider Caribbean region since 1970 conducting studies in Barbados, Curacao, Bonaire and Venezuela. He made his first dive on a grouper spawning aggregation in 1973. Most of his work has been with coral reef fishes including studies of the reproduction and age and growth of groupers and snappers, with a focus on the dynamics of reef fish spawning aggregations, management and conservation issues in Bermuda, Belize, Puerto Rico, Cayman Islands and the wider Caribbean. Dr. Luckhurst monitored the recovery of Bermuda’s coral reef fish stocks (focusing on parrotfish) by diver census for nine years following a fish pot ban in 1990. Other studies have involved the fishery biology of pelagic species such as wahoo, yellowfin tuna, blackfin tuna and dolphinfish. He was a partner in an international program to deploy satellite pop-up tags on blue marlin in the western Atlantic over five years. He has also conducted studies on the fishery biology of deep-water fishes (wreckfish, misty grouper). He has published over 75 scientific papers as well as numerous technical reports and marine conservation pamphlets. He is a co-author of a book published in 1999, “Fishes of Bermuda”. He is a long-standing emeritus member of the Gulf and Caribbean Fisheries Institute (GCFI), and is a Board member of Science and Conservation of Fish Aggregations (SCRFA). He has been a fisheries and marine resources consultant to The Nature Conservancy, the Caribbean Fishery Resources and Management Program (CFRAMP) and the Caribbean Fisheries Management Council. Since retirement he has been a fisheries consultant to the Bermuda Government and for the past five years he has been working with the Sargasso Sea Commission studying the pelagic ecosystem of the Sargasso Sea with a focus on tunas, swordfish and sharks. 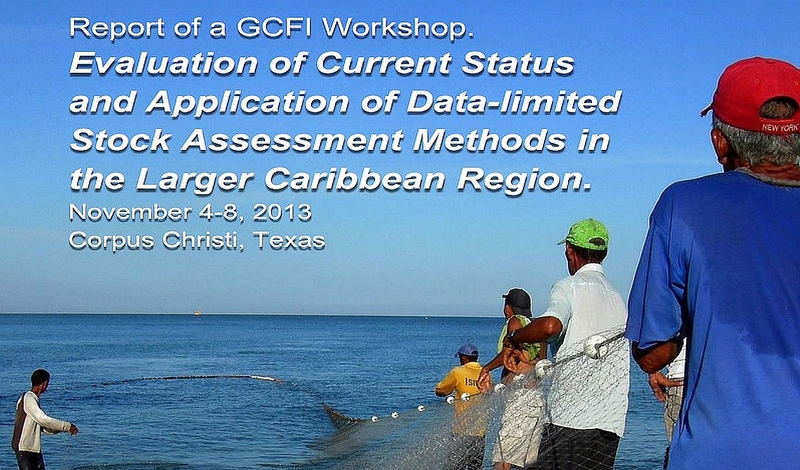 The host institutions propose a thematic session on “The Grouper Fishery of the Gulf of Mexico”. Management of the Gulf of Mexico grouper fishery has reached a new level of complexity with social, economic, ecological, and biological considerations playing a large role in the management and sustainability of these important commercial species. The purpose of this session is to facilitate critical thinking by reviewing the issues affecting grouper fisheries management in the Gulf of Mexico, especially off the Yucatan Peninsula, and examining the ways in which management measures interact. We hope that this session will stimulate discussion and expand the array of solutions available by learning from the experiences of experts and stakeholders involved in research and management representing different regions, disciplines, and areas of expertise. The poster session/reception will be on the evening of 7 November 2017. Poster space is limited. See the poster specification guidelines. The preferred poster size is 24” x 36” portrait or landscape orientation. 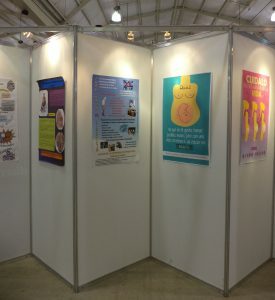 Posters covering many areas of gender-related fisheries topics. Take-aways on the participation of women in GCFI conferences. Other segments to this special poster session are in the planning phase, so come back here to learn more soon. For more information please contact Maria Pena and Dalila Aldana [email protected]; [email protected]. This special session will focus on marine animal movement ecology. It will convey to a group of participants interested in the science, technology, management and education the importance of understanding movement as a fundamental feature of understanding aquatic ecosystems in the Wider-Caribbean region. The session will consist of one or two invited presentations to address the state-of-the-art of movement ecology in aquatic animals and discuss the regional needs and directions of this field. Additionally, a series of submitted and accepted contributions will: 1) identify scientific projects that contribute to the field in assessing the ecology of vertebrate and invertebrate’s movement in the ocean, 2) constitute reference studies that utilize different movement assessment methodologies and tracking technologies, 3) describe relevant integration of movement data into ecosystem based management frameworks that can be replicated in other jurisdictions and geographies, and 4) introduce knowledge transfer processes that support educating society in the dynamic aspects of mobile species. The organizers of the session will synthesize the information provided, in the case studies, best practices, and technology presented in a workshop summary that will be published by GCFI. What is the target audience? This session will provide science-based knowledge relevant for students, scientists, resource managers, decision-makers, and educators in understanding the concepts of animal movement ecology and how this contributes to integrative marine science in the Wider-Caribbean region. Who should benefit most from the session? We expect researchers, managers, and educators to benefit from this session by increasing their understanding of the role movement plays in driving vulnerability and productivity of populations to anthropomorphic stressors, important pathways (e.g., migratory corridors), nodes (e.g., stopovers, aggregations sites), and habitats (e.g., from reefs to water column features) that support their populations. Additionally movement ecology informs our understanding of connectivity between species and the habitats that they need to complete their lifecycles. The session will consist of presentations (a) by invited guest speakers and (b) selected from proposals submitted by participants. [email protected] Susan Lowerre-Barbieri, Ph.D. The sustainability of the provision of goods and services from the living marine environment in the Caribbean and North Brazil Shelf Large Marine Ecosystems (further referred to as “the CLME+ region”) has been severely affected over the past decade as a consequence of inadequate fishing practices, habitat degradation and marine pollution. These effects become exacerbated as symptoms of climatic variability and change. 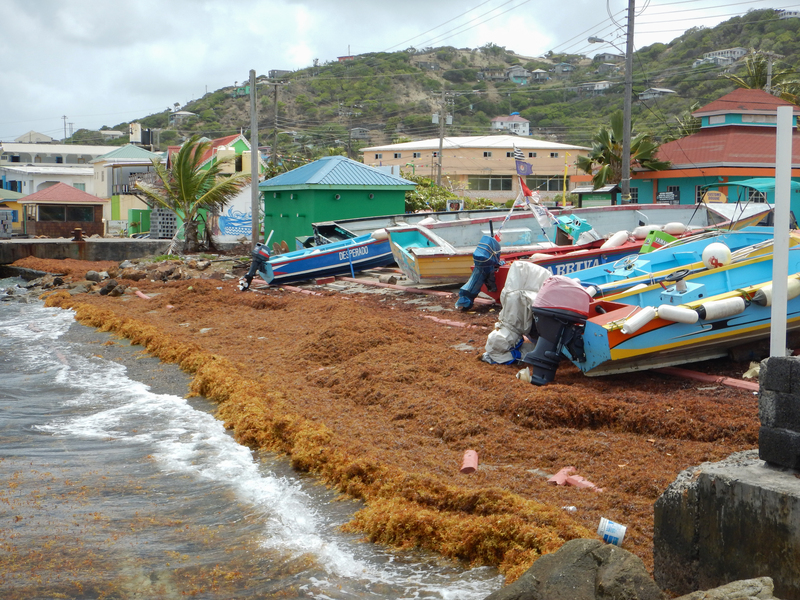 In 2013 countries from the wider Caribbean developed and politically endorsed a region-wide, 10-year Strategic Action Programme: the “CLME+ SAP” (2015-2025) “for the Sustainable Management of shared Living Marine Resources”. The CLME+ SAP promotes region-wide adoption and implementation of “Ecosystem-Based Management” (EBM) and the “Ecosystem Approach to Fisheries” (EAF). The CLME+ SAP identified weaknesses in marine resources governance, awareness building, data & information management and exchange, monitoring & enforcement capacity, and science-policy interface, to be at the root of environmental degradation in the CLME+ region. Improved interactive governance, defined as “the whole of interactions among public, civil and private actors taken to solve societal problems and to create societal opportunities” is believed to be key to reverting the ongoing degradation of the marine environment, and its diminishing support for socio-economic development. Several practical examples exist to date, showing how innovative technologies and tools can be instrumental in fostering and up-scaling such “interactive governance”, and in the promotion and implementation of EBM/EAF. This special session will highlight innovations and technologies that have been applied successfully in the CLME+ region and beyond. Contributions to the session will include but not limited to: the development and/or adoption of online tools that support decision-making for sustainable choices, either at the policy level (government) or “in the field” (consumers/producers, general public); GPS- and mobile phone-based apps that the public can use to register/report the location of key features or events; technologies and tools to support Monitoring, Control and Surveillance, e.g. : drones and remote sensing technology for monitoring IUU; interactive approaches for scenario modelling and environmental reporting, etc. The session will consist of presentations (a) by invited guest speakers and (b) selected from proposals submitted by participants. Proposals that address the various dimensions (ecological, social, and economic) of the EBM/EAF approaches are encouraged. 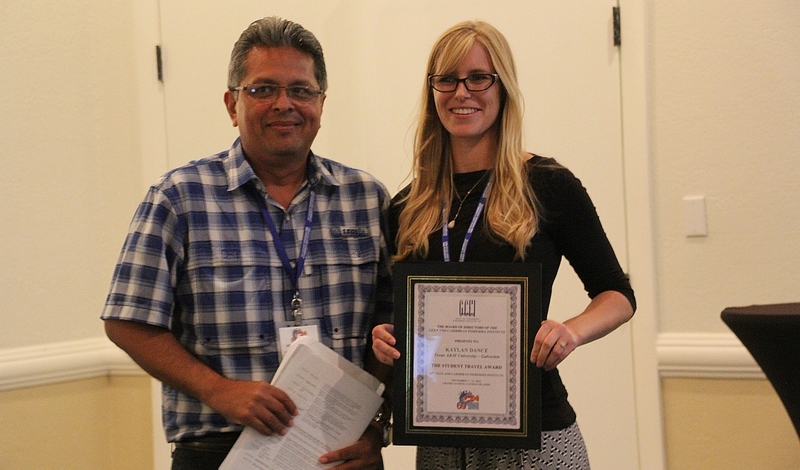 Joint GCFI-SEAC Symposium on Acoustic Technologies to Improve Reef Fish Ecosystem Surveys. 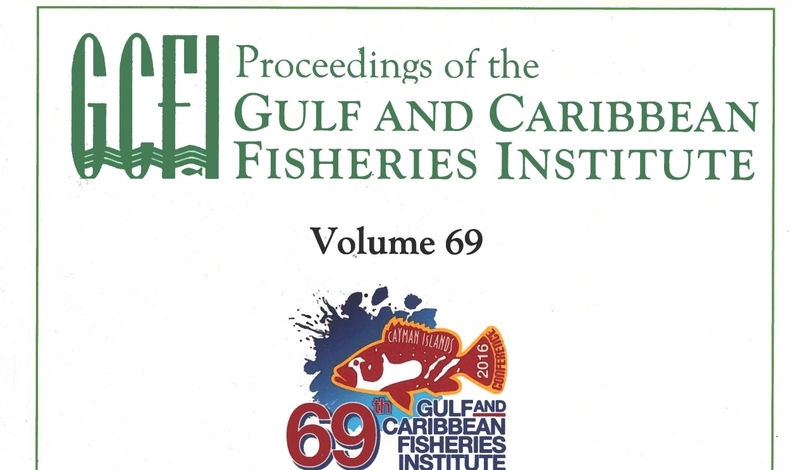 The Gulf and Caribbean Fisheries Institute (GCFI) and SouthEast Acoustic Consortium (SEAC) will hold a special session entitled “Acoustic Technologies to Improve Reef Fish Ecosystem Surveys.” Given the complexity of the life history and habitat of reef fish, the difficulties of sampling reef ecosystems have resulted in data-limited assessments in the Gulf of Mexico and Caribbean regions. Ongoing advances in both active and passive underwater acoustic technologies have brought a variety of tools to scientists for improving surveys and experimental research in reef habitats that can address a variety of operational research objectives. For example, active acoustic instruments (echo sounders) provide measurements to estimate fish abundance, map distributions, delineate spawning aggregations, observe behavior, and characterize community structure. In addition to remote sensing of the biological community, active acoustics can also provide seafloor bathymetry and classification of their habitats. As scientists strive for integrated sampling operations, passive acoustic instruments (hydrophones and acoustic tags) are also used to locate and monitor spawning aggregations, monitor aquatic ecosystem integrity, and investigate the impact of ocean noise on marine resources. The objective of this special session is to provide the current state-of-the-science, challenges, applications, and recommendations on the best practices for integrating active and passive acoustic technologies into reef fish and ecosystem surveys to provide high quality and timely scientific information for the management of living marine resources. The special session also serves to communicate how integrating acoustic technologies into reliable and sustained survey and observation systems will provide socioeconomic benefits from the scientific gains. Abstracts for this session should submitted by the deadline in the GCFI announcement. (Registration deadline is 15 August 2017). Registration deadline is August 15th. On the afternoon of Wednesday 8 November choose from among three tours of the City and nearby attractions that have been specially designed with you in mind. A contribution to each tour will be required from each participant. Please check the GCFI website for updates on tours. The meeting venue will be at the Hyatt Regency Merida Hotel. Located in the heart of Merida’s business district, this luxury hotel offers contemporary rooms and suites along with stylish facilities and décor. During your stay, you can visit the city cathedral which was built in the 16th century. Enjoy fascinating museums or take a ride in a horse-drawn carriage down the city`s main avenue, Paseo Montejo. The hotel offers excellent cuisine. The restaurants are sophisticated environments that are complemented with unique foods and drinks that will cover all your needs. Located only 20 minutes from the airport. The costs for a room per night are below. Note that the following is included in the cost of the room: Buffet Breakfast, 16% IVA taxes, 3% taxes, 15% Services Fees, Internet in rooms, and tips for hotel staff. For Hotel reservations please complete the GCFI conference hotel booking form. GCFI is pleased to offer a number of Travel Awards to this year’s meeting. These are detailed below. GCFI is offering two travel awards of US$750 each to eligible students to help offset travel costs to the 70th GCFI in Merida, Mexico. The deadline for students applying for these awards is 31 July 15 August at which time abstracts and all supporting paperwork must be submitted. Students will be notified of acceptance/rejection of their application by 1 September. Complete instructions and eligibility requirements for the travel awards are on the Travel Awards web page. Students may apply for a travel award and for consideration for the Student Achievement Award in the same year. Students who received a Student Achievement Award at the 69th GCFI are not eligible for a travel award to the 70th GCFI. 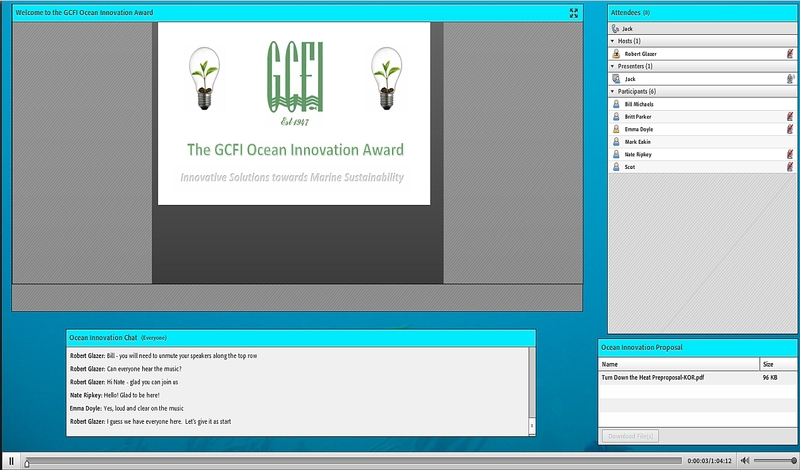 GCFI will offer two Student Achievement Awards which will cover all expenses to the subsequent GCFI conference. Students must meet the abstract deadline to be eligible for the Student Achievement Awards. Students wishing to be considered for these awards must indicate their interest at the time of abstract submittal on the abstract submittal form. Eligibility criteria can be found on the Student Achievement Awards web page. Note that a manuscript of the talk/poster must be submitted at the meeting to be eligible for this award. Students who applied for the award when submitting their abstract may withdraw from consideration of the award by the first day of the conference. Winners of these awards will be announced on Friday at the end of the conference. Please check the Student Awards webpage for other awards. 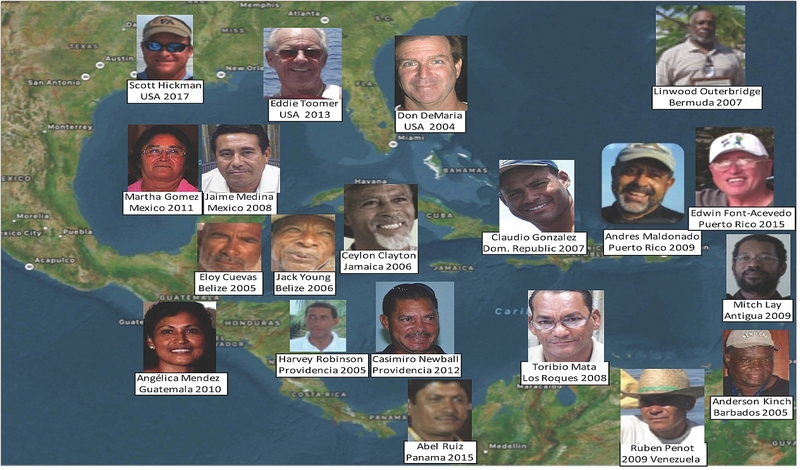 The GCFI Gladding Memorial Award (GMA) committee is requesting nominations of outstanding fishers for the 70th GCFI GMA. 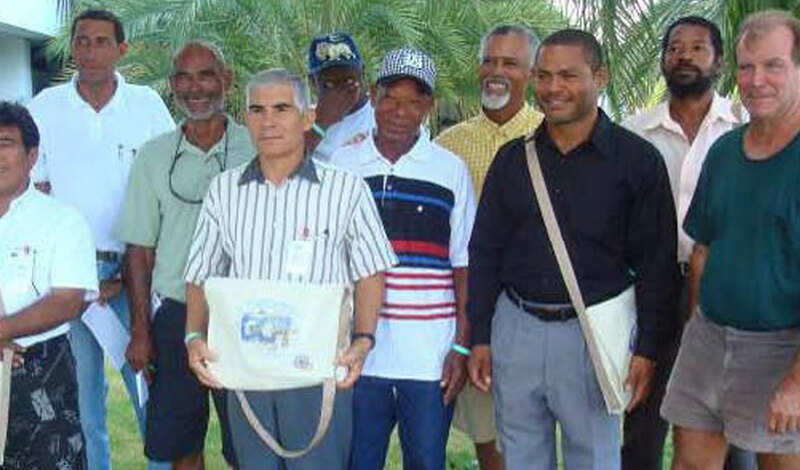 This annual award is presented to select fishers (men and women), who demonstrate, as Peter Gladding did, significant commitment to the sustainable use and long-term conservation of marine resources in the Gulf and Caribbean region. 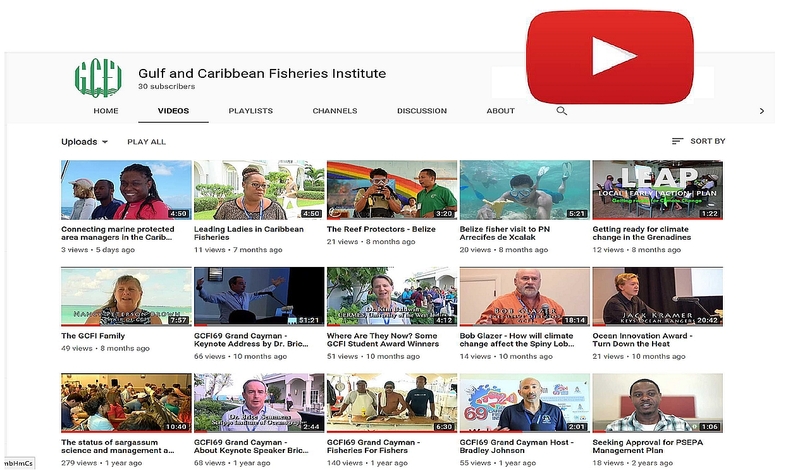 The winner will be sponsored to attend the 70th GCFI meeting in Merida to receive his or her award, and to participate in the Fishers Forum and main conference. You are invited to submit award nominations to the GMA committee at [email protected]. All nominations must be received by 30 July 2017. 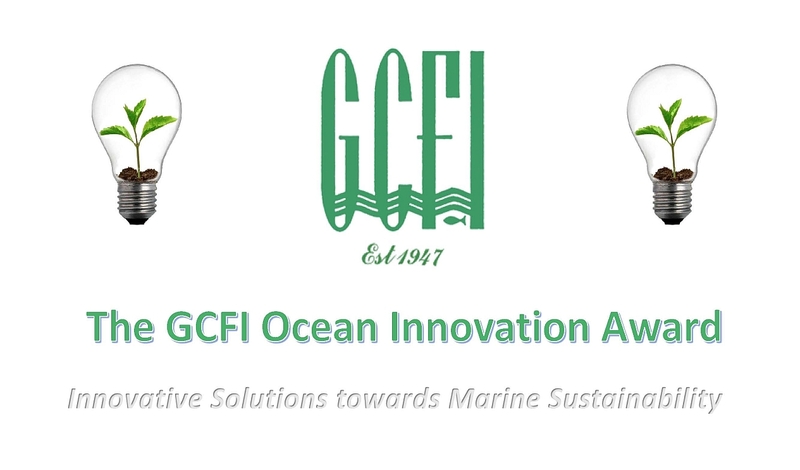 Background information on the GMA, nomination forms with award criteria, and details of the process are available on the GCFI website. 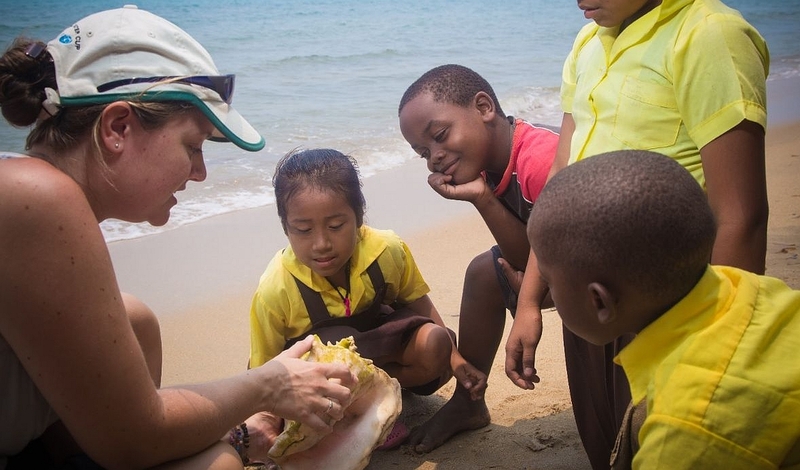 The Ron Schmied Scholarship, a GCFI initiative supported by the International Game Fish Association (IGFA) and private individuals, will be offered to a qualified graduate student in support of their travel to the 70th GCFI in Merida, Mexico. The Scholarship is in the amount of US$1,500, and graduate students with an interest in social, economic, biological, ecological, or management perspectives on recreational fisheries are eligible to apply. The deadline for students applying for the award and submitting an abstract and all supporting paperwork is 31 July. Students will be notified of acceptance/rejection of their application by 1 September. Complete instructions and eligibility requirements for the Ron Schmied Scholarship are on the GCFI web page at: http://www.gcfi.org/StudentAwards/RonSchmied/RonSchmiedEng.php. Students may apply for the Scholarship and for consideration for the Student Achievement Award in the same year. Students may also ask to be considered for the Ron Schmied Scholarship and a GCFI Travel Award in the same year, but will only be awarded one of these sources of funding. 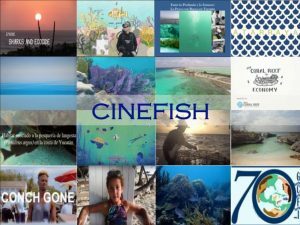 The Science and Conservation of Fish Aggregations Association (SCRFA) will offer a Student Travel Award of US$800 to a student in the Caribbean Region to attend the 70th GCFI, Merida, Mexico. 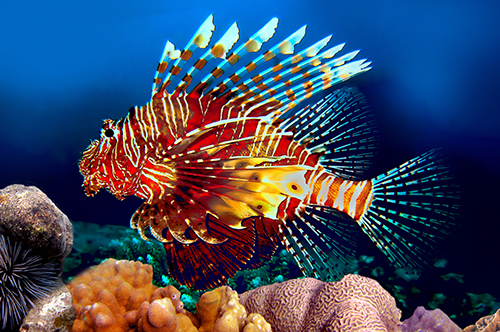 Originally formed in 2000 and known as the Society for the Conservation of Reef Fish Aggregations with the mission of promoting responsible stewardship of fish aggregations; in particular, reef fish spawning aggregations, the Society modified its name in 2012 to reflect its focus on science and the inclusion of all aggregating fish species. The SCRFA Student Travel Award is to encourage and help students to work in this important area and showcase their ideas and work at GCFI. More information can be found here. For the 70th GCFI Conference, all individuals travelling by sea or air will require a passport or other accepted official form of identification to enter the country. There are a number of countries that require visas to travel to Merida, Mexico. Please make contact with the local Ministry of Foreign Affairs or Immigration Department, for enquiries or to obtain one. Please check back for travel information updates. ABSTRACT SUBMISSIONS RECEIVED AFTER 15 AUGUST WILL ONLY BE ACCEPTED SPACE PERMITTING. Abstracts for the 70th GCFI will begin to be accepted from 1 July 2017 until 15 August 2017. Abstracts will be accepted in English, French, and Spanish. ALL ABSTRACTS MUST BE ACCOMPANIED BY ENGLISH, SPANISH AND FRENCH TITLES. Abstracts are only required in one of the three languages; titles must be in all three languages. Abstracts must not exceed 1,850 characters including spaces. After you submit your abstract, you will not be able to edit it as was possible in previous years. To submit an abstract, please go to the Abstract Submission form. Remember to use the KISS principle — Keep It Short and Sweet. Text should be summary points, preferably bulleted, not entire sentences. Limit the amount of information on a slide — five messages or less is better. All text should be 18 point or larger depending on the projection arrangements. Limit the number of font typefaces to two, clearly readable, selections. Use bold, italic or colour to provide visual emphasis instead of underlining text. DO NOT USE ALL UPPER CASE IN LONG STRINGS OF TEXT. IT IS HARD TO READ AND YOU CAN GIVE THE IMPRESSION THAT YOU ARE ALWAYS SHOUTING AT YOUR AUDIENCE, LEAVING NOTHING FOR EMPHASIS. Dark backgrounds with light coloured text generally work better than other combinations. Use high contrast for readability and legibility. Use only the most appropriate charts and graphs, requiring the least explanation. Use Clip Art graphics and illustrations for a good reason, not just to decorate. Reasons to include Clip Art include helping communicate a point, to capture attention and to lighten up a “heavy” subject with humour. Clip Art used on every slide, or too often, will lose its effectiveness. Test the presentation, ideally in the environment of the presentation location. If you are new to computer presentations, practise how to return to a slide, move ahead to a particular slide and to stop the presentation. For presentation applications, establish 3-5 quite different templates that work well for you, and be prepared to switch templates if lighting, projection, or other problems arise with a specific template. The poster easels will be the following dimensions: 1 meter wide and 2.5 meter high; maximum 36 inches wide and 80” tall. Posters cannot exceed 36″ width. Starting in 2017, registration rates are different for members and non-members (see below). Membership is not required to register for the conference; however, there is a significant savings for members of GCFI. To become a member of GCFI, please visit the GCFI Membership Page. Onsite registrations may be paid with a credit card, check, money order, or US currency. Other arrangements may be made by contacting [email protected]. To register for the conference, please visit the conference registration page. You must be logged in to GCFI using your GCFI account to register. GCFI Would Like to Express Our Heartfelt Thanks to the Sponsors of the 70th GCFI Institute. 8th Session of the Scientific Advisory Group (SAG) of the Western Central Atlantic Fishery Commission (WECAFC). Every biennium the SAG of WECAFC aims to meet back-to-back with the GCFI Conference. This is the case again this year. The 8th session of SAG is scheduled to take place in Merida, Mexico, on 3-4 November 2017, just before the 70th GCFI Conference and in partnership with GCFI. The tasks of the SAG are to: a) Provide scientific advice to WECAFC ad hoc working groups and the Commission; b) Review and contribute to the report to the Commission on the status of stocks in the area covered by the Commission; c) Review and contribute to the report on the situation, trends and prospects of fisheries in the WECAFC Region; and d) Consider any other matters referred to it by the Commission and the WECAFC working groups. The 8th session of the SAG will discuss amongst others: the status of stocks and fisheries in the WECAFC area, activities of working groups and projects carried out in the last 2 years, review working group recommendations and resolutions on Billfish fisheries, Fish Aggregating Devices, establishment of regional authorized vessel register, establishment of regional IUU vessel list, Sharks and Rays fisheries management and conservation, and on fisheries statistics. Moreover, trends in fisheries and fisheries management will be discussed and recommendations will be made for final review and adoption by the WECAFC session in 2018. The SAG is composed of 7 scientists from the WECAFC member countries and the meeting will encounter with the participation of various partner organizations and projects (CRFM, OSPESCA, CNFO, NOAA, IGFA, CLME+, CC4Fish). Member countries of WECAFC and partner organizations have been invited to participate in their capacity of observer to this meeting. There is a possibility for approximately 10 additional experts/scientists who are interested in learning about and participating in the SAG meeting to do so. There is however no funding available to support travel or accommodation of interested scientists. If you are interested to participate, please contact the Secretary of WECAFC, Mr Raymon van Anrooy, before Friday 27 October at: [email protected].